Fridays: 8- 9 pm Soft and Slow, a restorative class set to music designed to stretch and relax the body. All classes are held at the Front Climbing Club. Memberships at The Front are super affordable, especially if you sign up for monthly autopay. They include unlimited yoga classes, world class climbing, weight rooms, showers and saunas, and state of the art training equipment. You can even bring your dog! You don’t have to be a member to drop in–and your first one is free if you’ve never visited the Front! I will be in Mysore, India February 25- April 11. 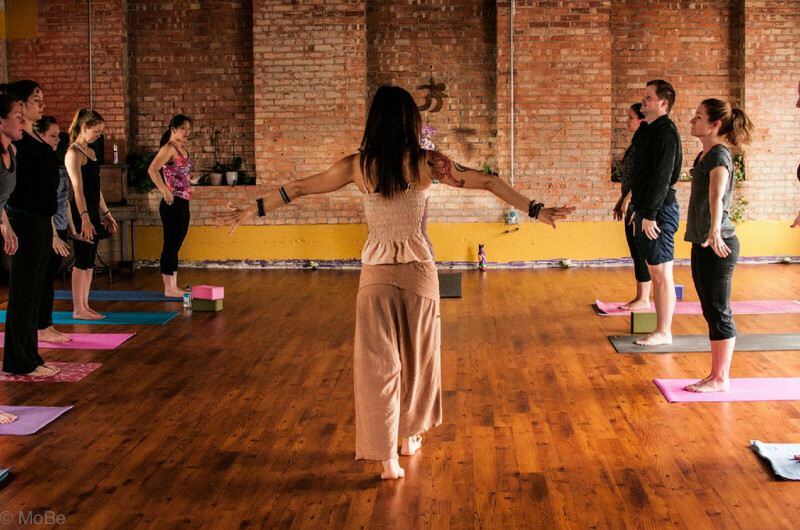 Sammy Brown will be subbing my Ashtanga classes, and Brian Forman will be subbing my Soft and Slow classes. Moon days are rest days for Mysore class. A teacher will not be there for Mysore class! All other classes are exempt from moon day rest. In Hinduism, Shesha (Sanskrit: Śeṣa), also known as Sheshanaga (Śeṣanāga) or Adishesha (Ādi Śeṣa), is the nagaraja or king of all nāgas and one of the primal beings of creation. In the Puranas, Shesha is said to hold all the planets of the universe on his hoods and to constantly sing the glories of the God Vishnu from all his mouths. He is sometimes referred to as Ananta Shesha, which translates as endless-Shesha or Adishesha “first Shesha”. It is said that when Adishesa uncoils, time moves forward and creation takes place; when he coils back, the universe ceases to exist.He is also described in Buddhism as Vasuki. 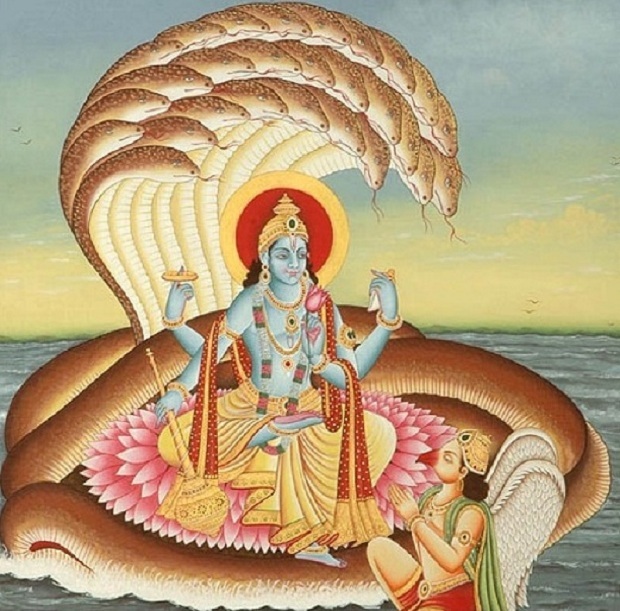 Vishnu is often depicted as resting on Shesha. Shesha is considered a servant and a manifestation of Vishnu. He is said to have descended to Earth in two human forms or avatars: Lakshmana, brother of Rama; Balarama, brother of Krishna. “Shesha” in Sanskrit texts, especially those relating to mathematical calculation, implies the “remainder” — that which remains when all else ceases to exist. But in Sanskrit it also means 6 shesham as the sheshanaga has been depicted to have many heads (5 to 7).